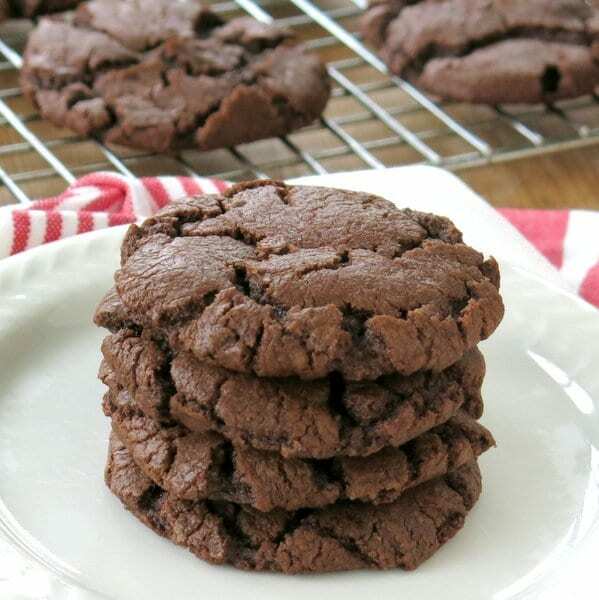 Chocolate oozes out of these molten lava chocolate chip cookies with every bite. The entire family will love this decadent vegan recipe! There was a great deal of debate in our house about what to name this cookie recipe. Molten Lava won. If you look closely, you will notice that the outside of the cookie is firm with “cracks” that gave way to a moist chocolatey inside…much like a molten lava chocolate cake. We could have easily called it a double chocolate chip cookie, owing to the fact that it contains cocoa powder and chocolate chips. A crinkle cookie would accurately describe it too. 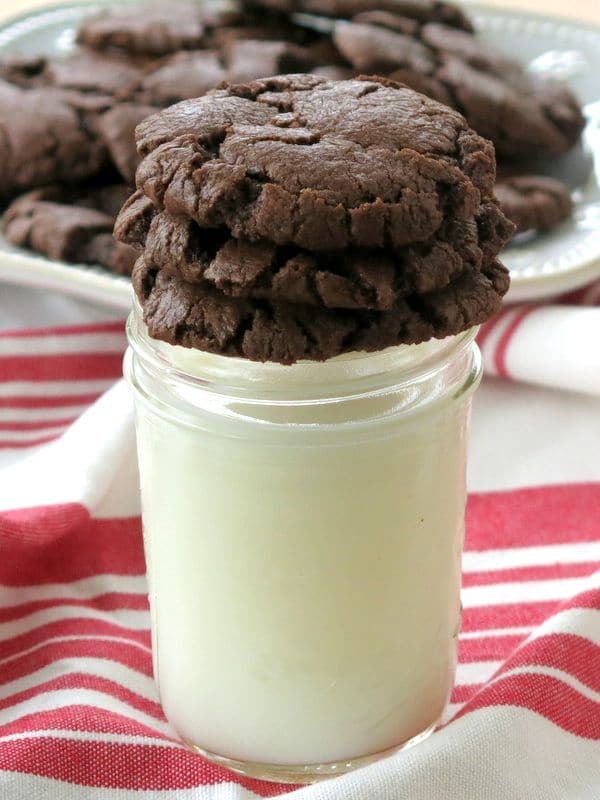 This recipe, one of the very first published on The Dinner-Mom site back in January 2013, is forever known at our house as Molten Lava Chocolate Chip Cookies. We’ve updated the pictures and the tips! By way of background, my youngest dd has been allergic to milk and egg for the longest time. She’s still allergic to egg, but now she is entirely vegan. As a result, we’ve been baking vegan for the longest time. Although she may not know what a cookie with egg and butter tastes like, the other family members do. Ideally, any treat we make satisfies the pickiest tasters in our house. This delicious cookie definitely meets the challenge. We made three product swaps for ingredients found in a traditional cookie recipe to make this cookie vegan. Luckily, there are many good options out there these days! The first recipe step is to cream the “butter” and the sugars. We used to be big fans of Fleischmann’s Unsalted Margarine. Unfortunately, we can’t find it anymore. Now, we use a product from Miyoko’s Kitchen. Earth Balance also has a product that is vegan. Make me an egg! If you hear that request at our house, then you know someone is baking. Our go-to egg replacer is one teaspoon baking powder mixed with 1 Tablespoon water and 1 Tablespoon vinegar. Once all the ingredients are mixed together, roll the (edible!) dough into Tablespoon-sized balls. We love mini chocolate chips in our cookies because they distribute so well. And, we are big fans of the Enjoy Life brand because it is free from all major allergens. Once the cookies come out of the oven, they will be soft. Allow them to cool on the baking sheet for 5 minutes or so before moving them to a wire rack to cool. Serve with a glass of cold almond or rice milk, of course! Please rate the recipe and tag @DinnerMom or #DinnerMom on social media. We love to see what you are cooking up! 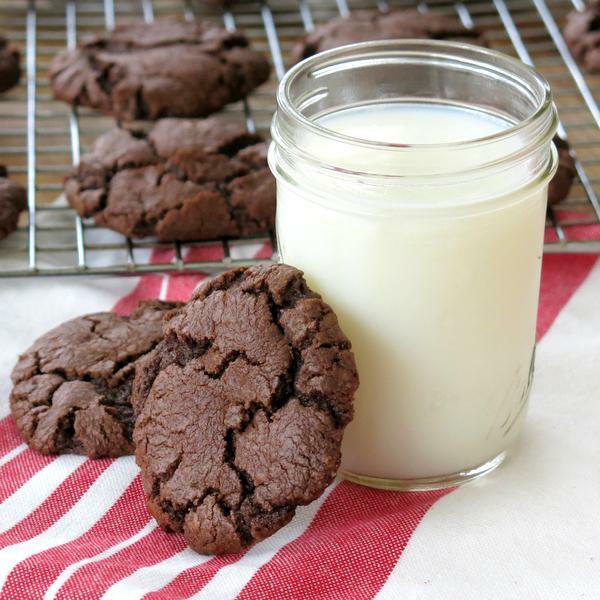 Chocolate oozes out of the cracks of these molten lava chocolate chip cookies. Cream the butter and sugars in a large bowl. Add egg and vanilla to bowl and combine. Add flour, baking soda, salt and cocoa and combine. 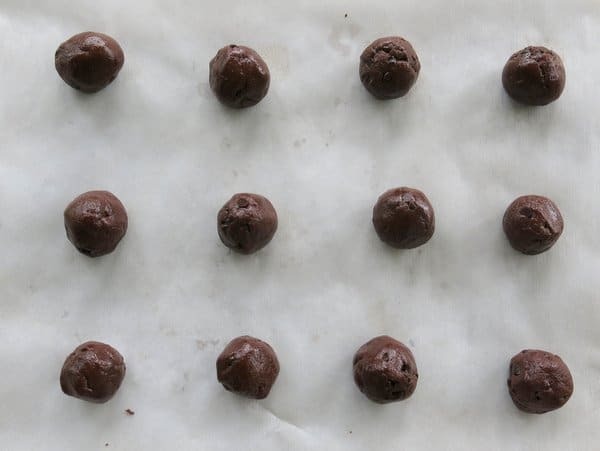 Roll dough into Tablespoon sized balls and place on a cookie sheet lined with parchment paper. Bake cookies for about 9-10 minutes. Cookies will not be firm when you remove them from the oven. Allow cookies to cool for a few minutes on the cookie sheet and then move to a baking rack to finish cooling. I will be baking a batch of these very soon! Thanks for another delicious recipe! 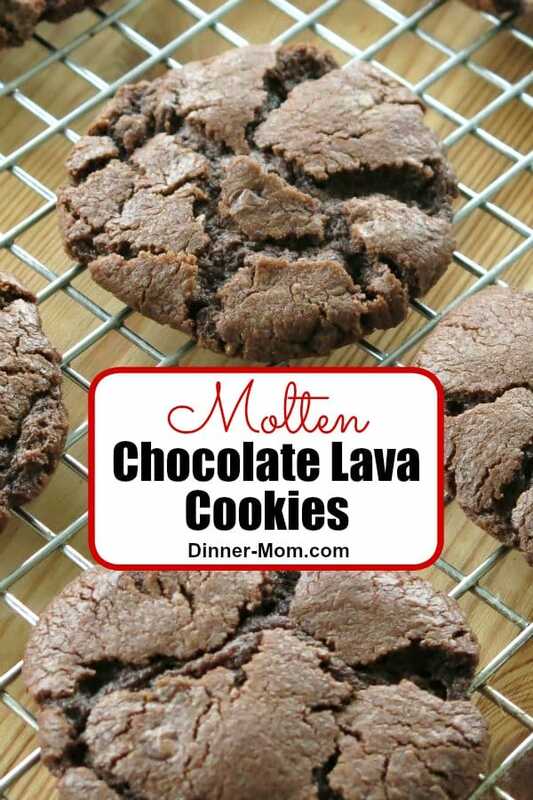 How could anyone resist a cookie with molten lava in the name? Fabulous! Sounds like a great treat! 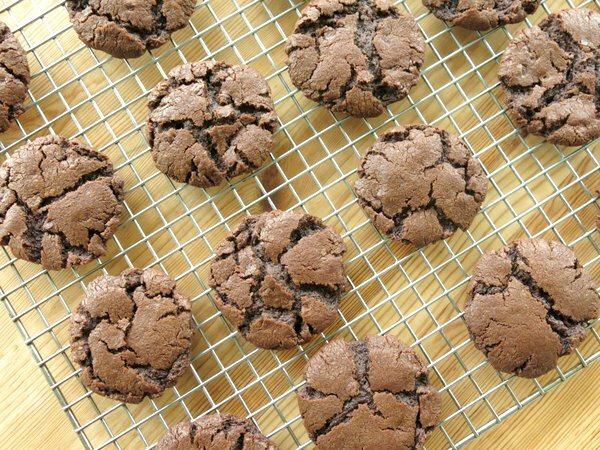 “Chocolate” and “oozes” are some of the best words to hear about cookies. A good friends son has an egg allergy so I’m always looking for vegan recipes. This is very popular at our house! They look delicious! I’ll have to make these for my Mom! She is severely lactose intolerant! We can still find the Fleischmann’s unsalted margarine! I hope that doesn’t change! These are so delicious! 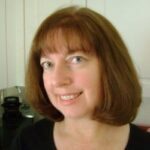 And I love the crinkle tops! Thanks Sarah! Hard to resist a crinkle cookie! Question. If one does not have allergies, can chicken eggs, butter, ect., be used in this recipe? They look delicious. Absolutely! This recipe can be made with traditional ingredients.